Bell Ross is a well-known military watch brand but it doesn’t in good sells, particularly in fake watch field, we all wants to get the best Rolex or Panerai replica, and they have forgotten Bell Ross. I suppose the main reason why people do not choose Bell Ross is because of its square case, most guys like round case of their watches, the next is tonneau-shaped case. As far as they are concerned, square case will have waterproofing problem. But I do not think so, if you have a replica watch, no matter whether it is a Rolex or Panerai, I suggest you take it off before swimming even the factory claimed they are 30m waterproof, it is a replica and cost you several hundred dollars, you do not want your money wasted if the water leaked into your watch by accident. Therefore, if you are really interested in Bell Ross watch, do not need to worry its waterproof, you can take good care of it and the watch can last for many years. Last time, I introduced a Bell Ross BR03-92 Diver fake watch, and it is a black one, now this watch is in blue. Compared with the black, I like this blue Bell Ross more. Wearing such a watch on the beach in this summer will catch lots of attention. Another reason why I prefer this Bell Ross is that the factory will send one pair of black nylon strap for free. 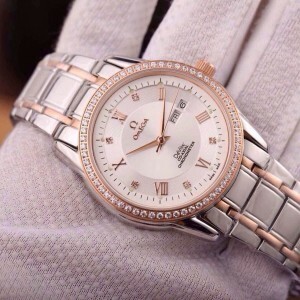 The entire watch looks like a professional instrument, and its case is in size of 42mm*42mm, there are four big screws to fix the case and back, case frontal face is brushed while the square edge is polished. Look at four corners of the case, they are polished so round and smooth. Crown has engravings beside to tell you how to lock, it is wrapped by blue rubber and there is a big Bell Ross logo on front face. Blue bezel features white diving engravings, the pearl is decorated with white luminescence and looks full. Case back is sold 316L stainless steel and features watch series engravings, so it is not just a single steel back. You can find the construction is amazing in this summer, just the same as genuine. The dial is blue, all markers and printings are white except yellow “300M/1000FT”. Hour markers are very huge and filled white luminous material, they will release blue light in the dark, while the hour hand has yellow luminous material applied and will emit green light. A small round date window is positioned at 4:30, so date font is in white and has the same thickness as real watch. The sapphire has light AR coating in front of the dial, so whether during the day or at night, the cheap replica watch will have a good readability. The dial completes the whole watch and makes it look like a diving instrument for professional divers. We looked at the main differences between the last steel Pepsi and the new white gold model back of the replica Rolex watches several years ago, but it’s worth reviewing one more time in the context of the new model, particularly as there are technical updates to the new steel Pepsi over the white gold version. To begin with, the new model has the Cerachrom Pepsi bezel that released on the white gold model in 2014, which provides quite a bit technically vs. the aluminum bezel – it’s for all intents and purposes scratchproof, and the colors won’t fade any more. 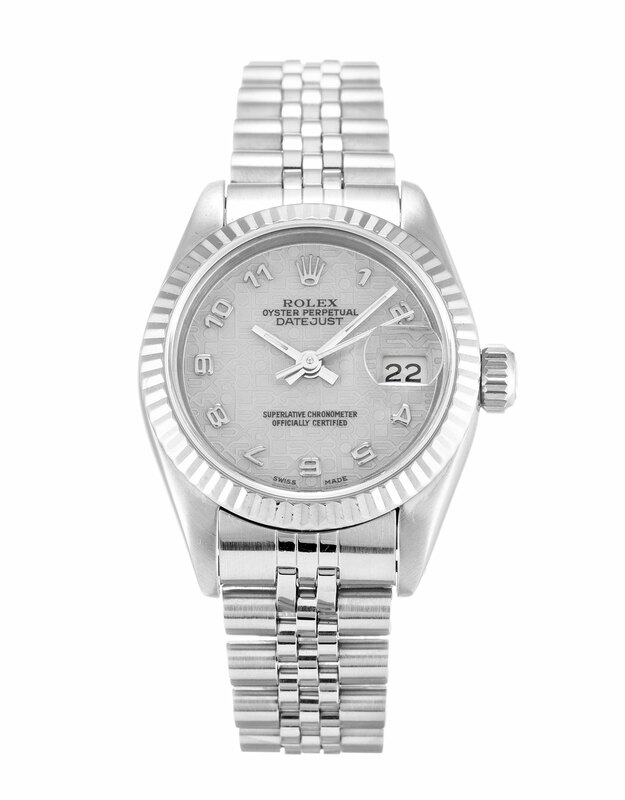 It’s wider than the old bezel and doesn’t have its mid-20th century anachronistic charm – the anodized aluminum bezel has been around since 1959 – but as with most of the changes Rolex makes to existing models, it’s unquestionably a better choice from a technical materials standpoint. Among the advantages of the Chronergy escapement are an upgraded lever geometry and skeletonized escape wheel for better efficiency, as well as the use of a non-magnetic nickel-phosphorus alloy for both parts. Certainly, the other big difference between the new steel GMT-Master II and previous models – and one which will be for owners far more noticeable than the movement – is the Jubilee bracelet. The Jubilee bracelet is an interesting piece of Rolex history on its own, even apart from the GMT-Master/GMT-Master II watches. 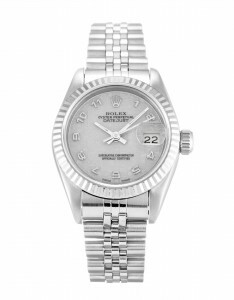 It was introduced by Rolex in 1945, on the Datejust. 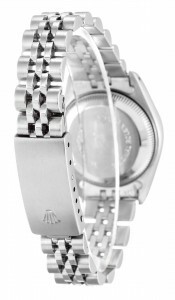 The Jubilee bracelet was also the very first in-house Rolex bracelet, the company having formerly relied on Gay Frères. The Jubilee bracelet on a fake Pepsi-bezel GMT is the single most divisive factor of the watch. Like all modern Rolex bracelets, it’s a perfectly engineered piece of gear, with best-in-class fit and finish. However, it’s also a bit more ornamental than an Oyster bracelet, and it would seem that the relative sobriety of the GMT-Master II should call for the more austere look of the Oyster. It’s not really a comfort issue – the Jubilee bracelet should theoretically offer better conformance to the shape of the wrist, thanks to the smaller links but as anyone who’s worn a modern Oyster bracelet will tell you, they take a back seat to no one in terms of ease of adjustment and general wearability. So why offer the steel Pepsi GMT II on a Jubilee bracelet only – and besides, one that cannot be swapped out for an Oyster bracelet? 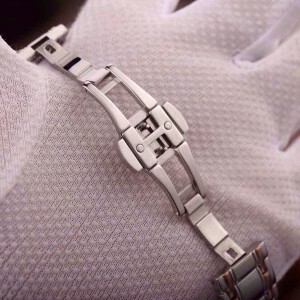 As the steel version may very well be much more difficult to find than the white gold, this is apt to make the Jubilee bracelet an attractive option for prospective owners, who will likely be pleased as Punch to be able to instantly signal that they’ve got such a relatively amazing replica Rolex. Though in the abstract one might prefer the Oyster bracelet as more, so to speak, ideologically pure, I have very sincere doubts as to whether the Jubilee will hurt sales of the steel Pepsi GMT II one iota.